Real estate professionals can provide a valuable service for military buyers who cannot be present to monitor all of the steps between contract and closing. The real estate professional can help make sure the buyers complete all the necessary steps to bring the transaction to an on-time close. A real estate professional can provide a list of local inspectors and facilitate scheduling and access to the property, but should not stand in for the buyer during the inspection. After the inspection is completed, schedule a conference call with the buyer and the inspector to go over the report. You can help military families settle into the new community by connecting them with community support, services, and contacts. Base support services do a good job of dealing with military issues, like holdups in pay or allowances, but they aren’t equipped to handle handyman issues or house maintenance of private homes. Make sure military buyers know that you can help them find services for home repairs and maintenance, as well as community services, such as local support groups for military families. 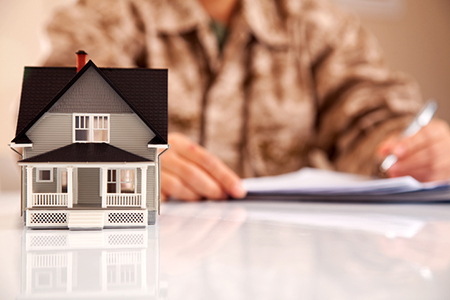 The military family you help with a home purchase today will likely be a home seller in a couple of years. When they have real estate needs, you want to become the go-to real estate professional for them and their family and friends. For more education about serving the military market, check out this month’s featured online course at the Center for REALTOR® Development, the Military Relocation Professional (MRP) Certification course, which is the educational requirement for NAR’s Military Relocation Professional (MRP) certification. For more information, visit onlinelearning.realtor.